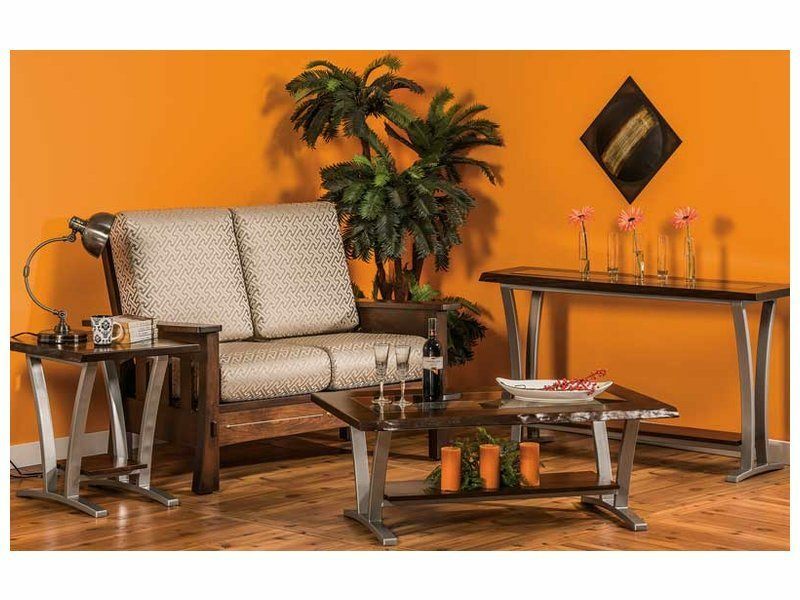 The Pagosa Living Room Set boasts metal and glass combined with rich wood elements to create a modern design. 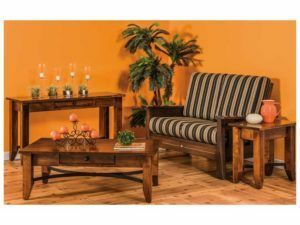 The collection includes a coffee table, sofa table, end table, and loveseat to complete your gathering space. Tempered glass inserts bring a stylish touch. 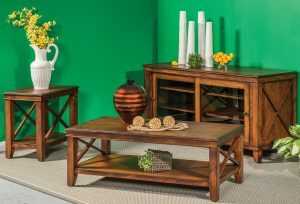 A solid lower shelf in each table also provide excellent display space for your books, magazines or other décor items. 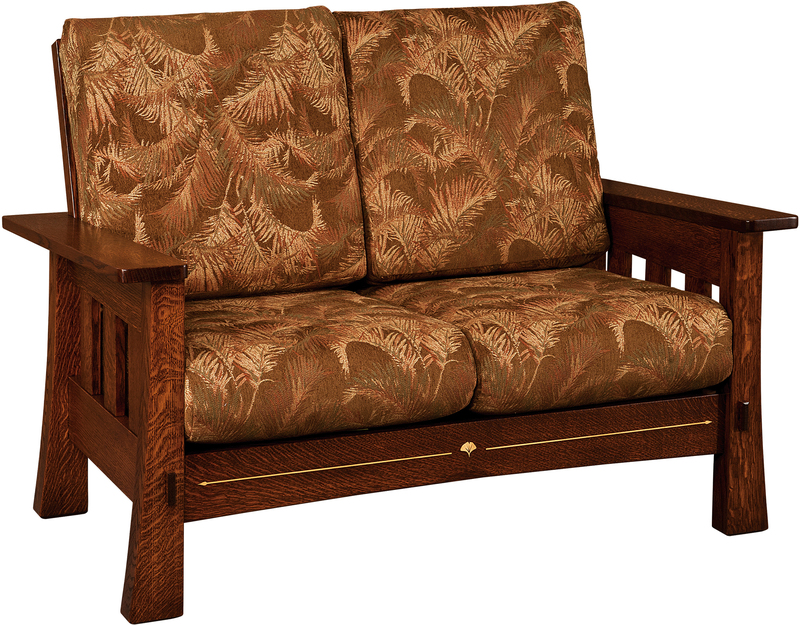 The loveseat also provides a luxurious places for you and your guests to relax. You may select the entire set or just pieces that complete your look.